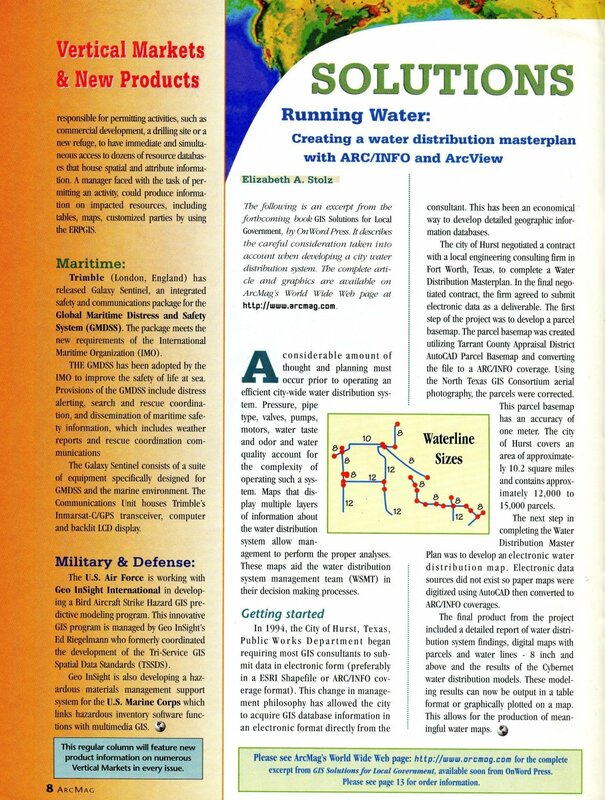 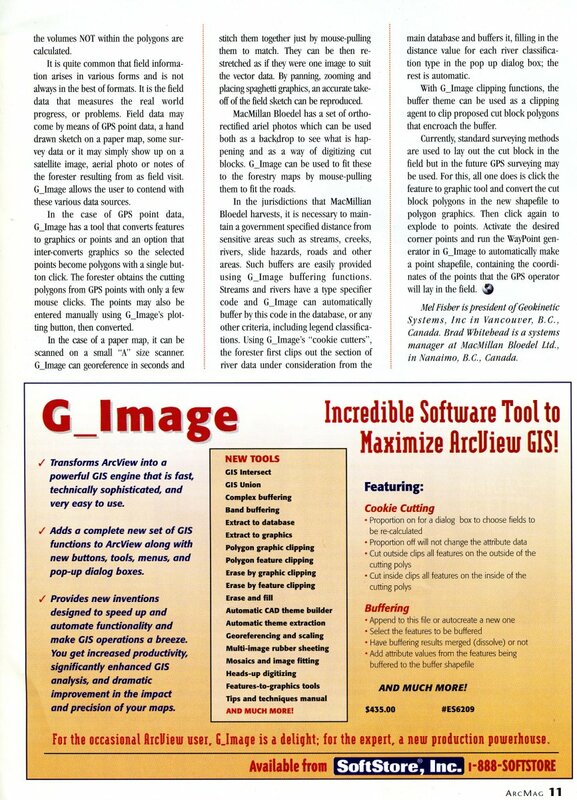 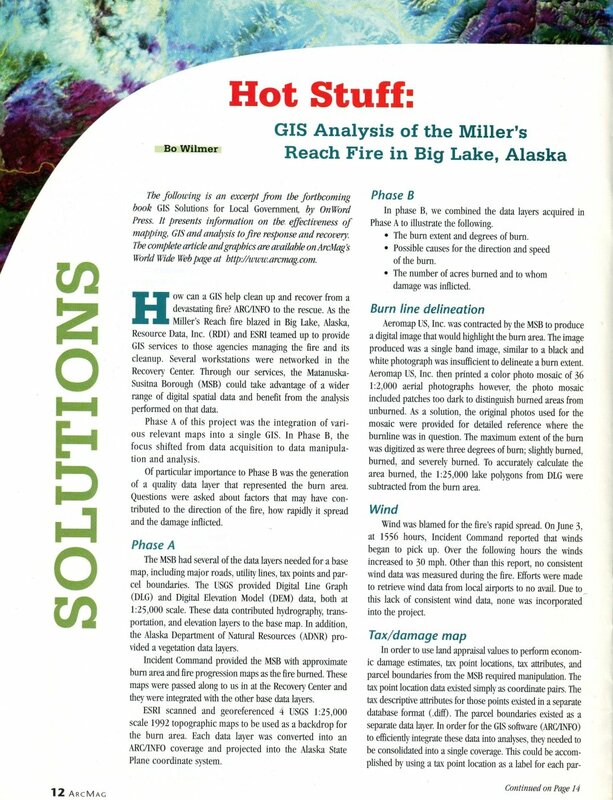 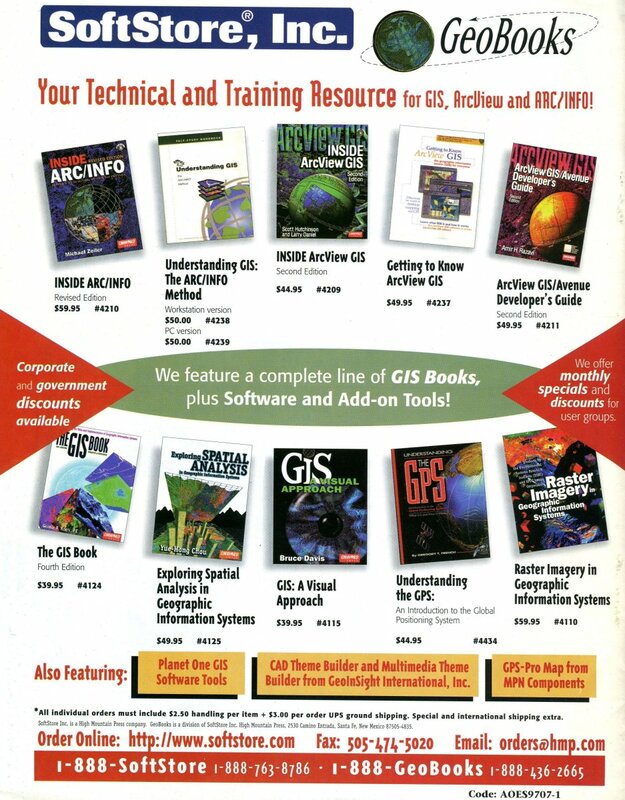 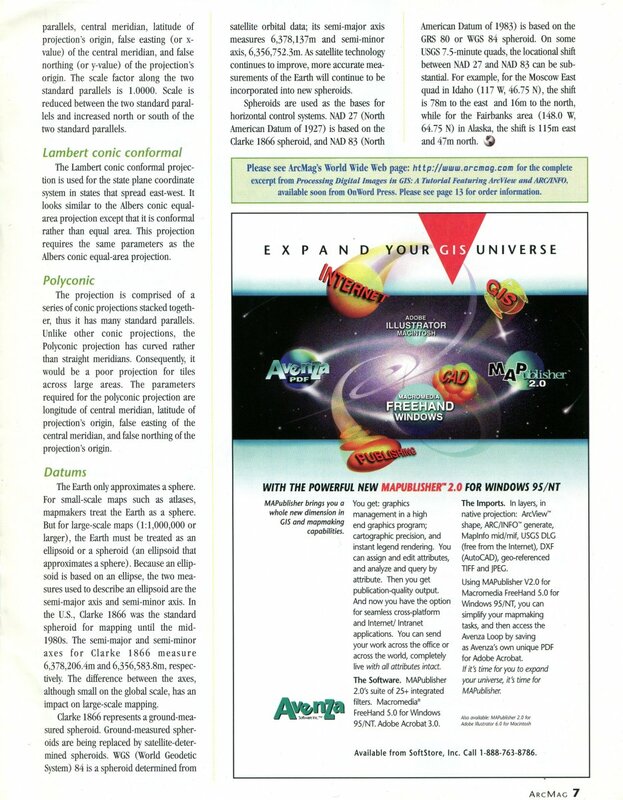 The latest installment of the GISandScience.com history project…At the 17th annual Esri International User Conference in July 1997, High Mountain Press announced a new magazine and started signing up subscribers. 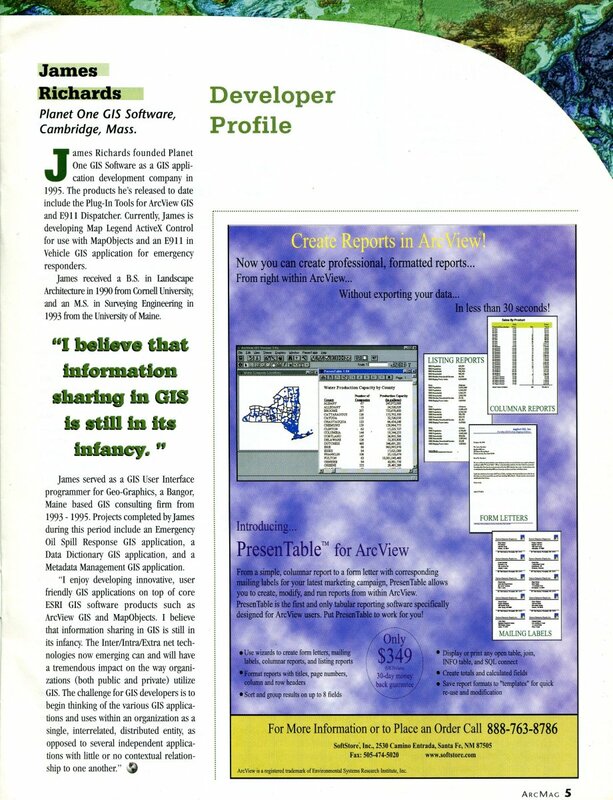 As far as I know, no issues were ever actually published. 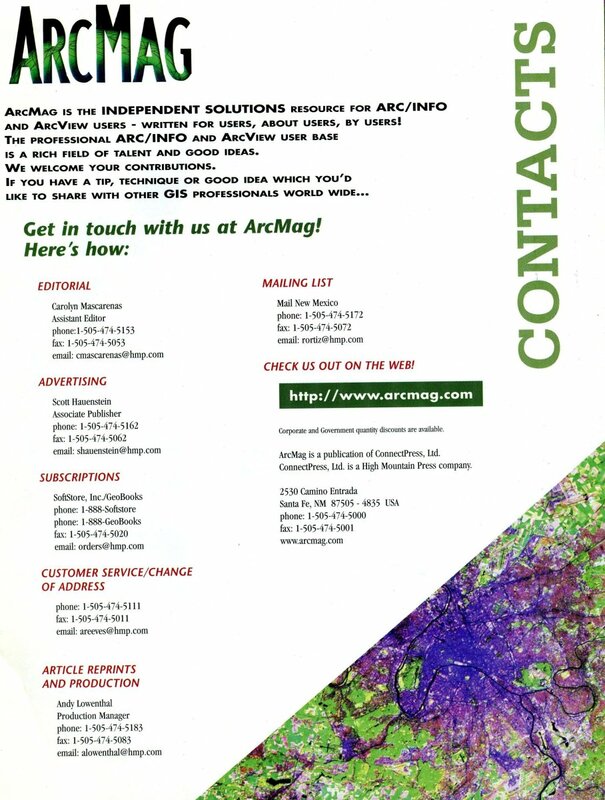 Click on any page below to enlarge. 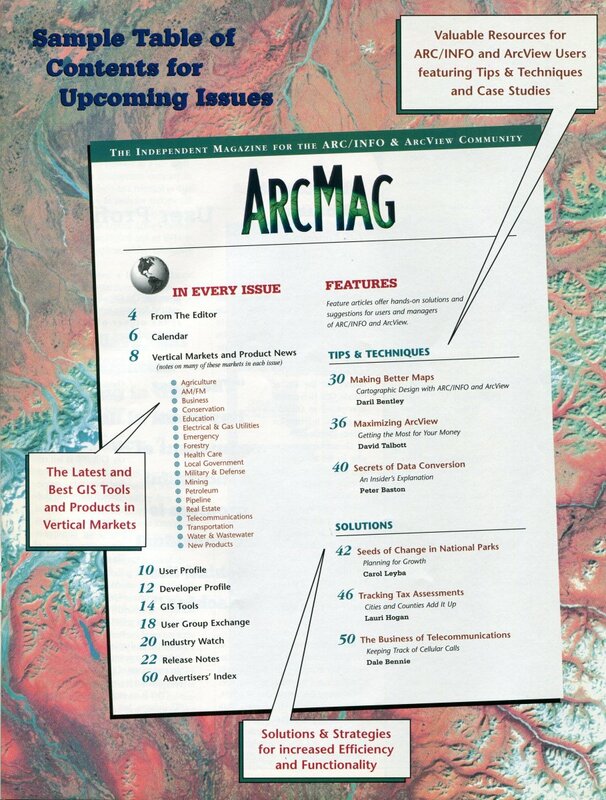 I remember this putative launch of ArcMag. 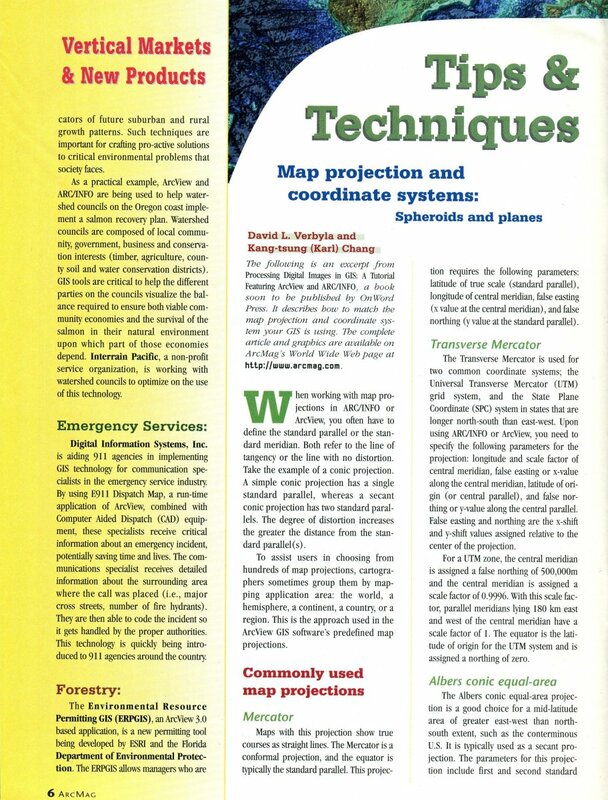 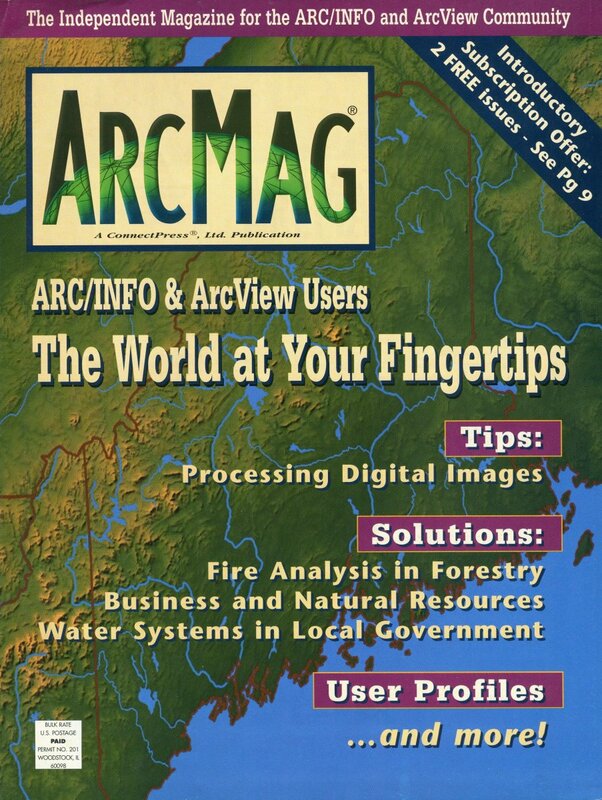 In 1995, I wrote High Mountain Press’ first Esri-related title, Inside ARC/INFO, and I was asked by HMP’s president, Dan Raker, to write a column for this magazine. 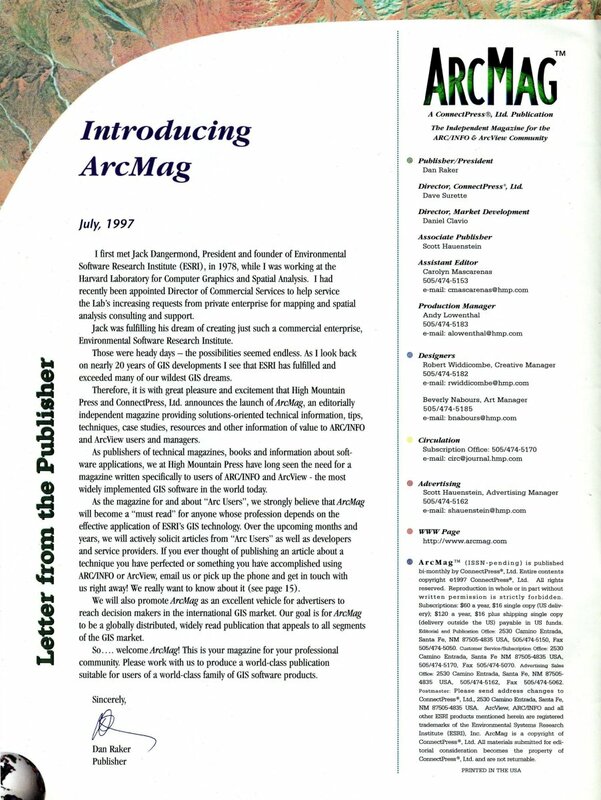 I was then hired by Esri on the strength of my 700-page resume (Inside ARC/INFO) and later learned that Dan dropped this plan because ArcUser was launched about the same time. 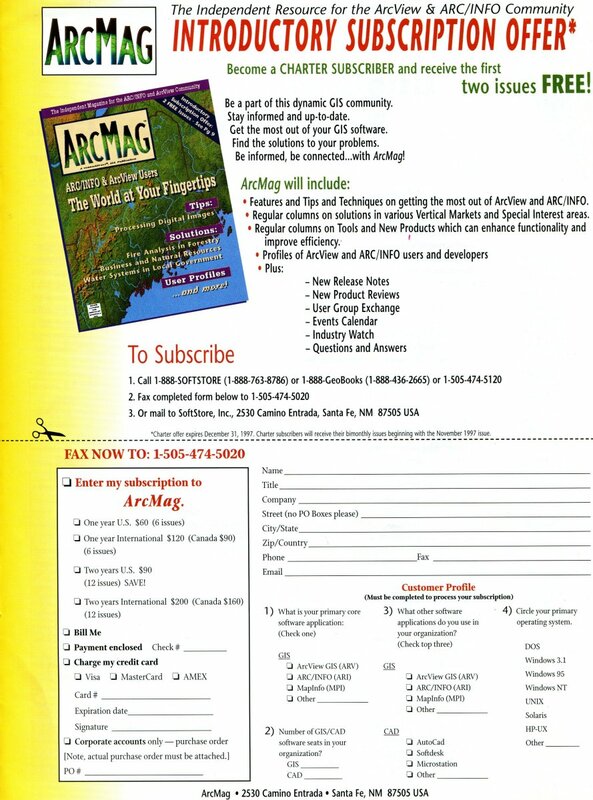 Dan felt that he couldn’t compete with ArcUser and dropped ArcMag. 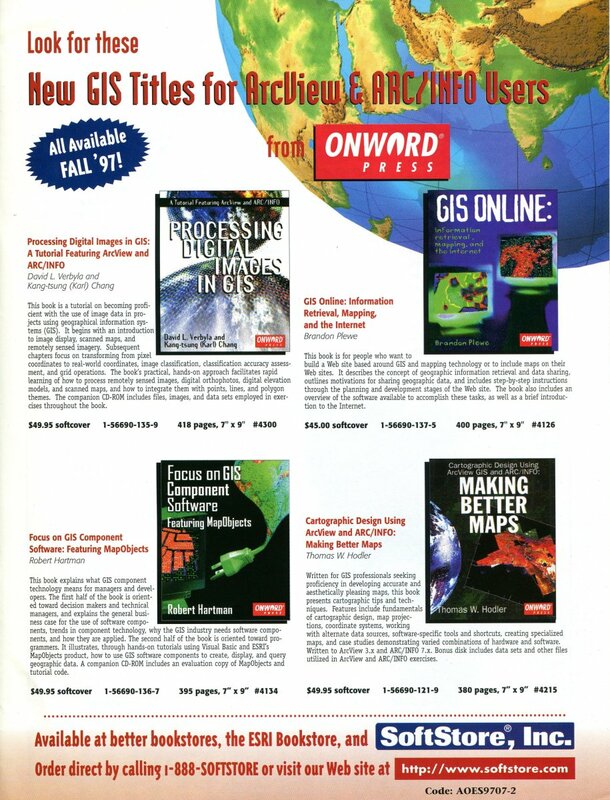 Dan Raker is an interesting character in the CAD/GIS sphere. 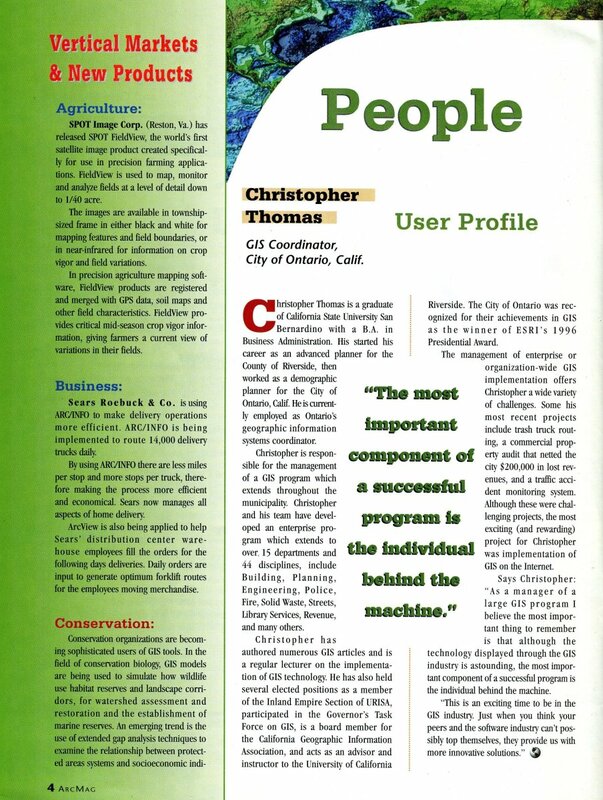 He wrote an early successful technical book, Inside AutoCAD. 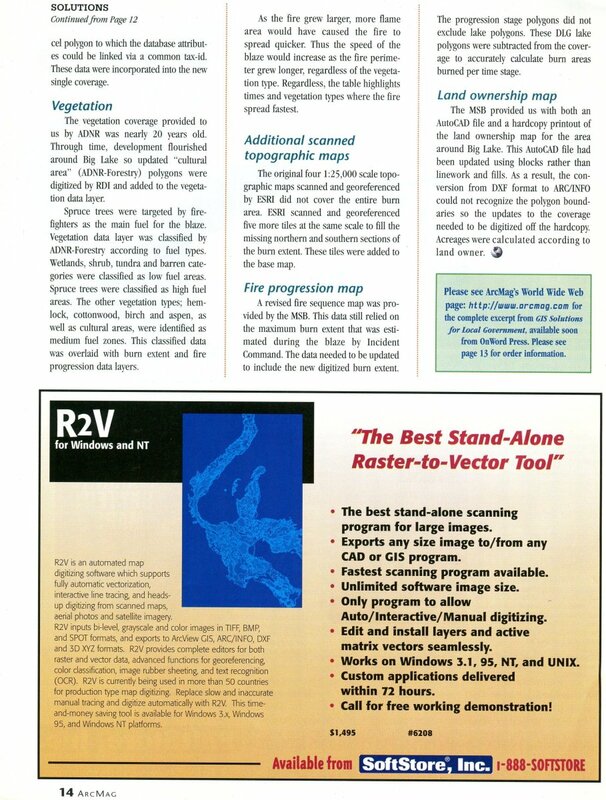 What was notable about this book was that it sold more copies than officially licensed copies of AutoCAD in the day!